I love adventure and I love road trips. The thrill of the open road (well, depends on the time of day and construction season), wondering what adventures await, and new memories to be made. My family recently headed out for our annual getaway. We decided to book at Barothy Lodge again, our favorite northern Michigan spot on the Pere Marquette River, adjacent to the Manistee National Forest. Unfortunately my husband ended up not being able to go due to various circumstances. I decided to go anyway. 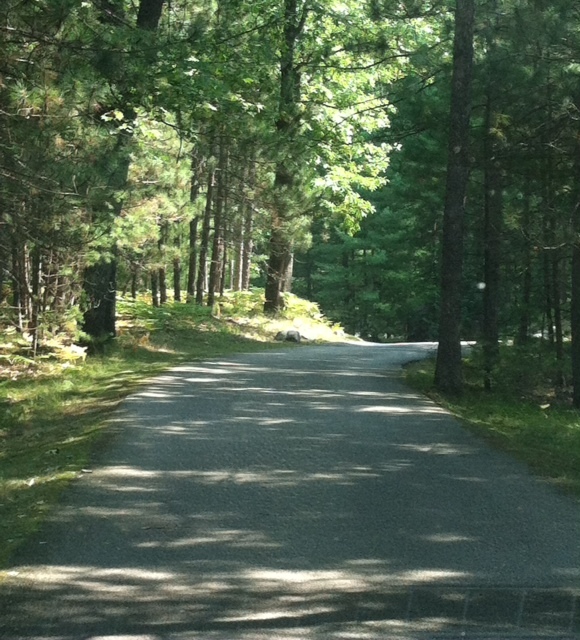 I love hanging out with my family and I love a trip to the woods (especially in a gorgeous log cabin). While I was admittedly bummed my husband couldn’t join us, I was also a bit excited for a road trip on my own (we were all able to leave at different times so did that). 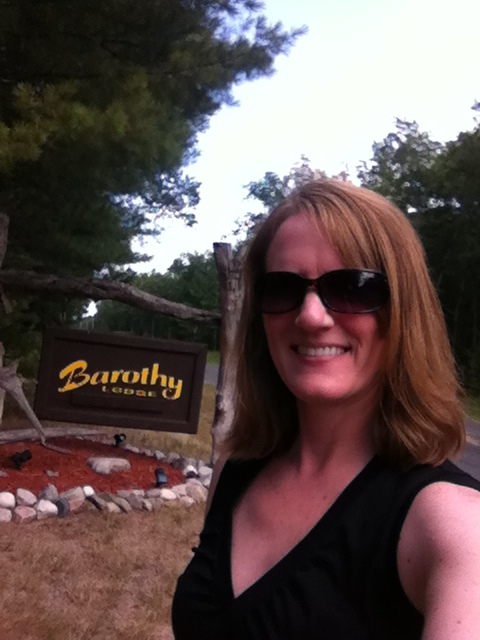 Barothy is approximately 3.5-4 hours from the Detroit area. It was a beautiful, sunny, warm summer day in the early afternoon when I set off with my new Escape packed with clothes, cooler of food and drinks for the long weekend, a book and my iPod filled with newly downloaded music. Pack drinks and food. I don’t like to stop a lot (excited to reach my destination!) so I always bring a water bottle, easy to eat fruit (banana, apple) and granola bar in case I need a snack. 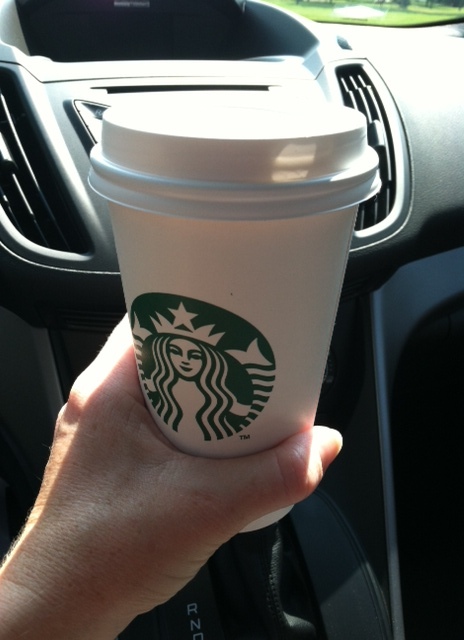 And I admit I always get a treat for myself, either a Starbucks chai latte or Dr. Pepper. Something about a road trip inspires splurging on treats! Stay alert with good drinks. This should be obvious but make certain you have directions to your destination! While most cars or smart phones have GPS, I always confirm on Google maps on my laptop before heading out. I’ve had several instances where my phone’s map directed me differently than Google maps. We ran into this in Maui for our massages so I finally called the spa, which gave me another set of directions! It may be safer to check directly with your lodging (many businesses put directions on their website). Bring good music. There is nothing better than jamming to good road trip music – fun, energized songs you can sing along to. Games. Have you ever played the alphabet game in the car? If not, it’s pretty easy – you look for letters of the alphabet along the road. You can also play this game when in the car alone in case you start to get bored. You can also look for various state license plates or whatever other clever games you create to make the drive fun. Catch up with friends. Because of every woman knows nothing passes the time better than talking to a girlfriend (especially when your husband really dislikes talking on the phone). Of course if you’re driving, be safe while talking on the phone. Use hands free devices whenever possible. My new Escape has the Sync option so I can connect my iPhone’s bluetooth technology with the car and talk hands-free. I love it. And please don’t even think of texting while driving. Seriously, so dangerous. Enjoy “me” time. I’m a firm believer that we all need downtime by ourselves to reflect on life and appreciate you. Everyone is on the go all the time in our society. I loved the ‘me’ time on the road to be able to reflect on what’s happening in my life now, where I want to be in a few months and what I need to do to get there. Ok, not all ‘me’ time needs to be so deep but at least learn to enjoy time alone. I felt my stress and life pressure slowly blow off me as I drove along the highway, windows down, hair blowing, sun shining. Enjoy your trip. Not every trip will go smoothly. You might take a wrong turn. You might get stuck behind a slow moving truck (or a stinky garbage truck). You might arrive to your destination later than planned. Take a deep breath and chalk it up to one for the memory book. Life’s a journey. Enjoy the ride. Made it to my destination. Now the fun begins!